Please note that the piece of wood you are buying is unique, the grain and knots are entirely natural and are not seen as defects. Some mats may have small areas of wood filler to smooth out any knots or uneveness. This is unavoidable as the wood is so precious to our supplier that they do not throw any wood away, they would rather repair it. Colour and tones in each mat will vary. No two will be alike. Hand-wash with hot, soapy water. Dry thoroughly immediately. Occasionally rub with a food-safe mineral oil to keep wood from drying out. Store in a dry area away from extreme temperatures. Product as described. 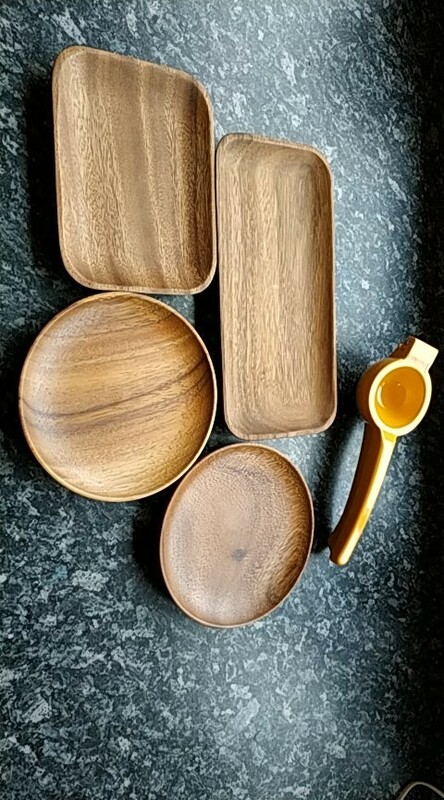 Lovely looking wood.